I climbed my third Munro (Scottish hill over 3000 feet/914 metres) this morning. Well, actually, it was only my second but Ben Resipol is only 228 ft off and it was bloody difficult. Surely the fact that it felt like it was a Munro counts? Yes? Good. 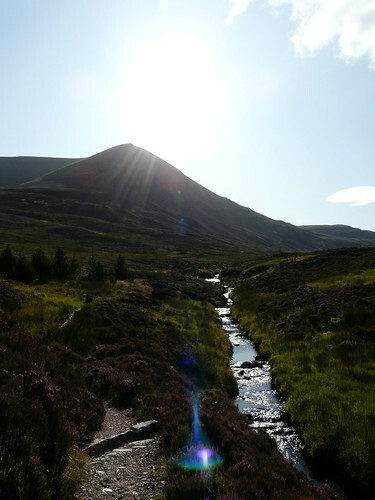 Anyway, Ben Wyvis is the nearest hill to us and is the landmark we see each morning on our way to and from work. It was about time we climbed it. P.S. See you all in a week’s time. I’m off to Dublin for a wee break. Was that Marco’s first Munro? Have a wonderful time in Dublin! Really lovely picture of the three of you! Hope you all have a wonderful time on your holiday. Celia – It was Marco’s second (cough – third!) too. Less than a week after we got him we took him up Ben Resipol. His previous owners hadn’t exercised him much and we were watching him carefully ready to turn back at any second if he looked at all fatigued. He loved it though and must have covered at least double the miles we did! Wendy – Thank you from all of us!!! Though there is absolutely no need now, I really do always like how you sign your name with Wales in brackets afterwards. It makes me smile. Where in Wales are you? Enjoy Dublin and your break Wendy. Magnificent scenery. But isn’t this summer for you? Is it really that cold on the munro? Fabulous photographs – especially the last one! P.S. 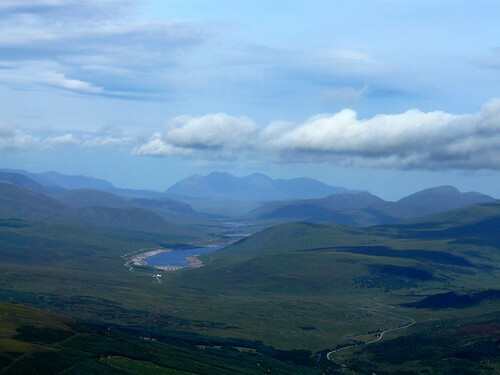 With our summer heat and humidity, I’m a bit envious of your cool weather on top of the Munro! Kim – I’ve been thinking about trying Marco out with a track. We’ve never done anything like that but I’m sure he’d love it. Gen – We most certainly could, hone. Got up and down in 4.5 hours. Didn’t spend long at the top as it was bloody freezing! Legs are killing me today! Yvonne – It was t-shirt weather down at sea level but by the time we got to the summit the windchill had brought the temperature down to about 3 oC. A bit nippy! Lee – Send us over some of that heat. It’d be a nice change! Congratulations on your mountain. Whatever it isn’t, it is VERY BIG. How wonderful to see that each time you drive to work! Have a lovely time in Dublin. Super city. You asked where I live – it is North Wales. I have access to the Wilds of Snowdonia and the super shops and history of Chester. Looking forward to some lovely pics of Ireland! Wow! Well done! I get knackered just walking to work 😉 Gorgeous pic of you and your boys too. You all look so content – and rightly so! Well done! 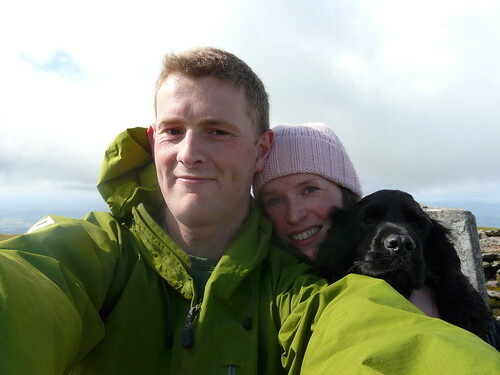 Lovely photos (I’m envious, as I didn’t bag a single Munro when in Scotland)! Enjoy the wee Irish break! Beverly – It is a lovely drive. Makes the commute so much easier. Aforkfullofspaghetti – Content and cold!